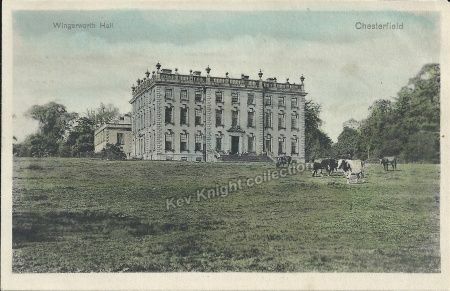 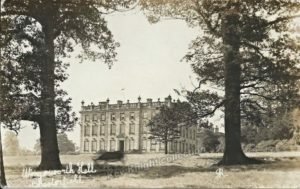 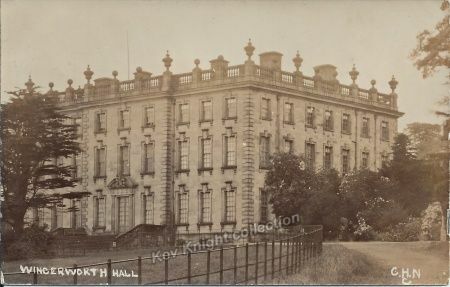 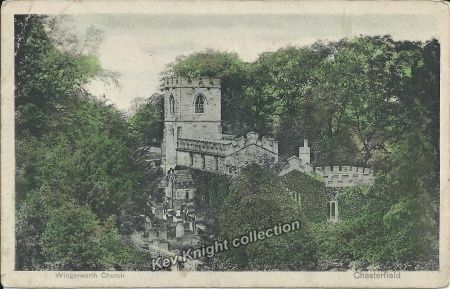 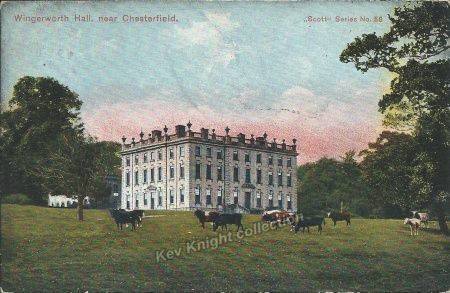 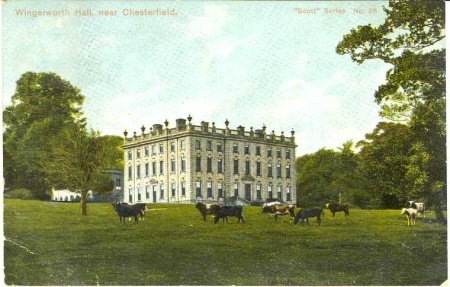 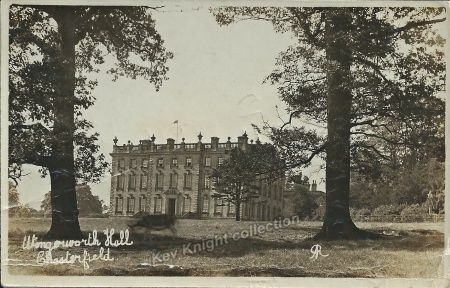 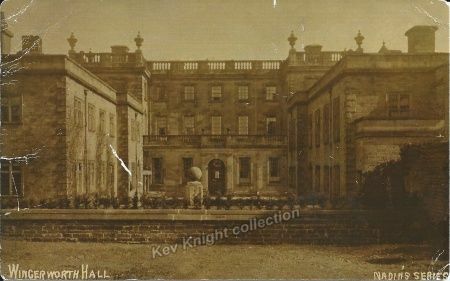 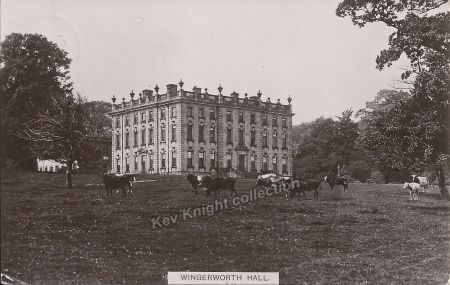 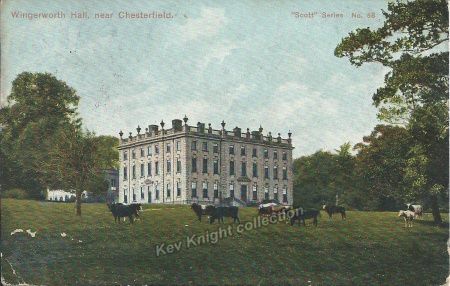 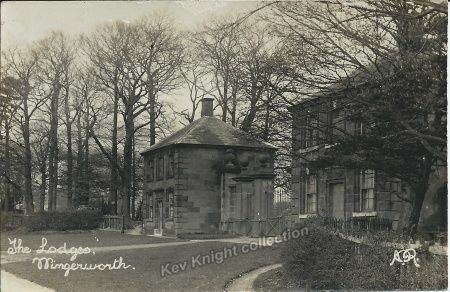 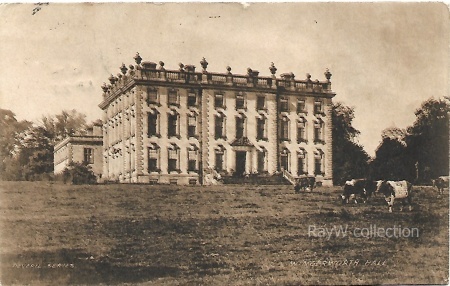 Wingerworth Hall postcards give a unique historical insight into the Hall and Estate. 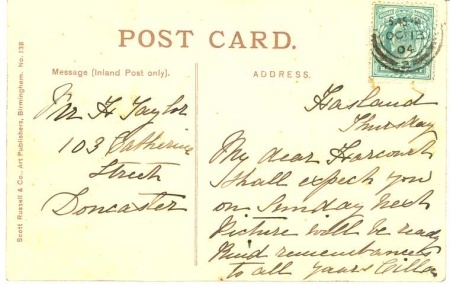 Just a line. 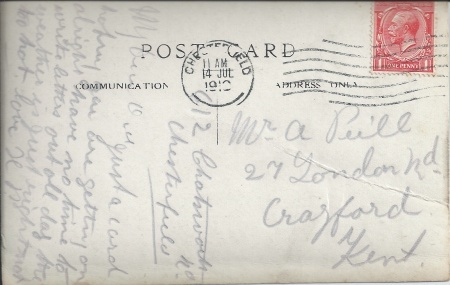 I am having a good time. 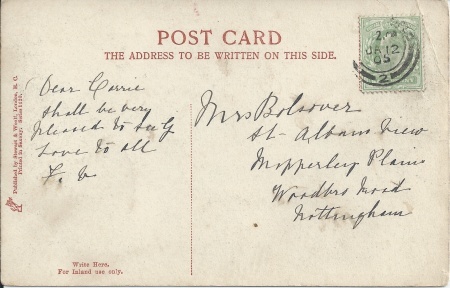 Will you let me have Florrie’s address please. 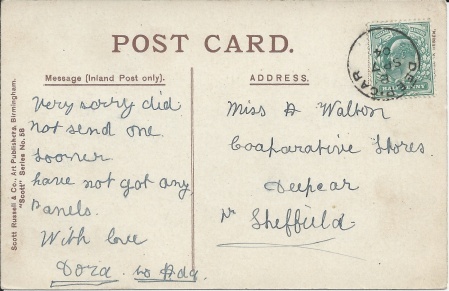 We went to Sheffield on Tuesday and are going to Nottingham tomorrow. 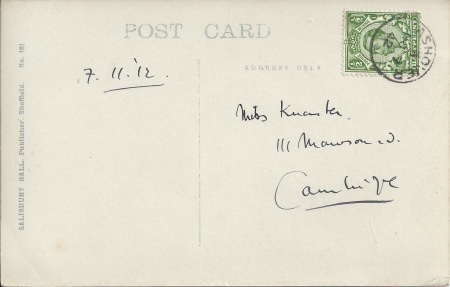 Hope you are getting better news of Harry. 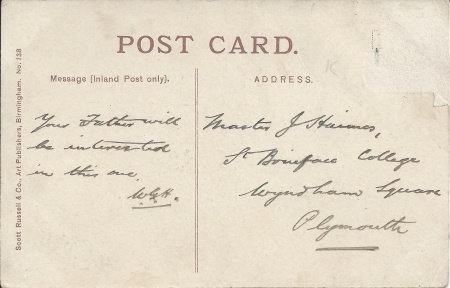 Have not decided when I am going back. 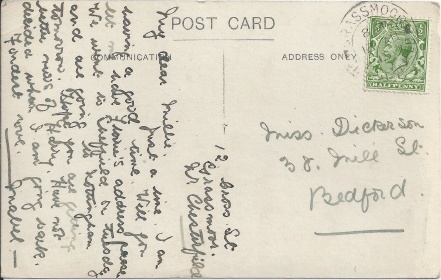 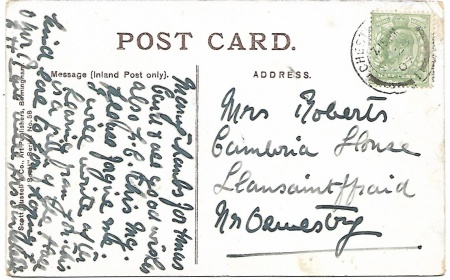 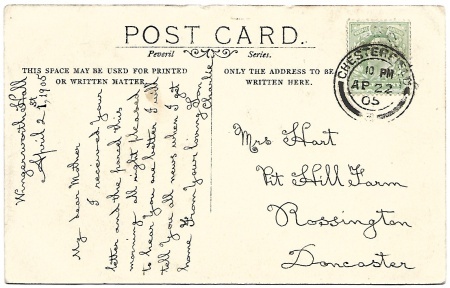 This postcard must be from 1915 which thows up the question of whether Harry was in the trenches. 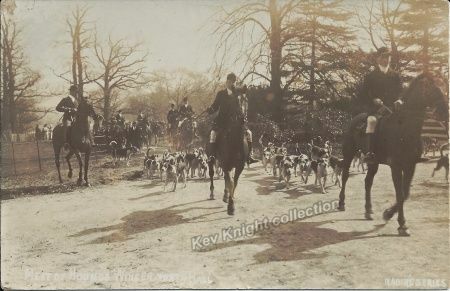 The following colourised postcard 9×13 cm is from the Mary Taylor Postcard collection, sent 13 October 1904, published by Scott Russell & Co.